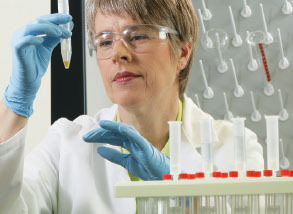 The ideal choice for your general lab needs, Thermo Scientific’s ELED portfolio offers a wide range of essential solutions required to produce consistent, optimal work...in every lab, every day— all backed by the quality, value, expertise and 2 year warranty to maximise your lab’s efficiency. Various types of motion including vortexing, orbital, reciprocating, rocking, and even three-dimensional rotation, designed to deliver outstanding performance, accuracy, and reproducible results for all your application needs. An extensive selection of hotplates, stirring hotplates, and hotplate stirrers with an impressive combination of reliable performance, advanced safety, and operational simplicity makes it easy to find the perfect heating equipment for your laboratory requirements. 100% maintenance- and wear-free, hermetically sealed units designed for use with aggressive media in challenging stirring environments including standard and CO2 incubators, controlled climate chambers and waterbaths. Reliability you can depend on. Thermo Scientific versatile dry baths / block heaters offer a wide range of blocks to accommodate various tubes. Select from heating only, heating and cooling, heating and shaking or heating, cooling and shaking to suit your application. Our units provide outstanding temperature uniformity and stability that help create the reproducible results that you need. Maximize coolant retention with light-weight Thermo Scientific™ Thermo-Flask™ Benchtop Liquid Nitrogen Containers, which contain inner vessels of borosilicate and are perfect for everyday cryogenic storage use. Thermo Scientific™ CO2 resistant orbital shakers with external control box for easy adjustment provides reliable around-the-clock operation ideally suited to keep your cells alive and flourishing within your working environment.